We have 3 Avis Rent A Car UK deals for you to choose from including 1 coupon codes, 2 Offer. We have a dedicated team searching for the latest Avis Rent A Car UK coupons and Avis Rent A Car UK codes. Simply enter the Avis Rent A Car UK promo code at checkout and save money today. Find the best offers at Voucher Codes UAE for avis.co.uk, remember to check us regularly before buying online to get Avis Rent A Car UK vouchers. 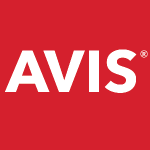 Enjoy your saving on Avis Rent A Car UK discounts and printable coupons online. Avis Rent A Car is recognized all over the world as a strong and truly global brand. They provide business and leisure customers with a wide range of services in nearly 5,000 locations worldwide. They operate in 13 countries on a corporately-owned basis and have licensee operations across a further 101 countries; they also have over 300 locations around the UK. Whether you are on holiday and need a big car for all the family for a week, a small car to zip around the city for a day or anything in between they can cater for your car rental needs. Make sure you keep checking back to the Avis Rent A Car UK Offers page on their site, as it's updated with amazing new offers and deals all the time. See if Avis Rent A Car UK lets you stack codes on top of existing sales! Sign up for the Avis Rent A Car UK newsletter for tips, new stuff and exclusive offers. If you need to drive to London or Manchester between 11 and 18 April, take advantage of our one way offer and drive for £9.98**. • Discount percentage varies by pick up location. • Please quote AWD M381500 to take advantage of this offer. • Maximum discount for this offer is up to 15% off. • Dates and locations may be varied at any time prior to booking and without prior notice. • Pickup and return rental location must be the same. • Offer valid for rentals booked directly with Avis online or by phone. • This offer is not available for bookings of Avis Prestige, Select Series or Van vehicles. • Discount applies on time and mileage/kilometre charge only. • Discount does not apply to fees for optional extras (such as special equipment, additional drivers, optional coverage or pre-paid fuel) nor to mandatory taxes, young driver surcharges, premium location fees, pay-on-return fuel charges, one-way fees or accident, damage or theft processing fees. • Claims related to damage or theft is subject to a contribution from the renter which can be reduced by purchasing optional waivers. • Prices will vary by car type, rental length, date and Avis location. • Renter must meet the applicable Avis age, driver and credit requirements for the rental station you wish to rent from. Minimum age may vary by location. • Offer may not be used in conjunction with any other coupon, promotion, discount or offer. • Discount offer subject to availability. • Avis Booking Terms and Conditions apply to the booking. • Avis Rental Terms and Conditions apply to the rental. • Avis reserve the right to amend or withdraw the offer at any time. Want us to notify you when we add new coupons and deals for Avis Rent A Car UK?